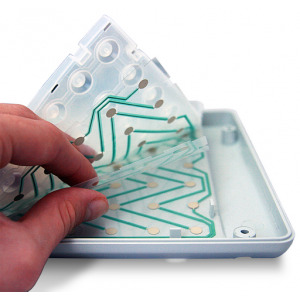 Membrane keyboards	There is 1 product. 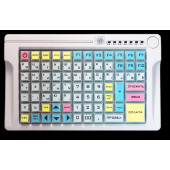 Unlike the keyboards with mechanical contact modules, membrane keyboards use cheaper technology to identify keystrokes. To do this, you have to use three membranes, folded in the form of a sandwich: two of them, the top and the bottom, are coated with silver-plated contact pads and conductors, and the third is the separating one, located between the two metallized and has holes in the sites. Molded rubber bands act as key springs.